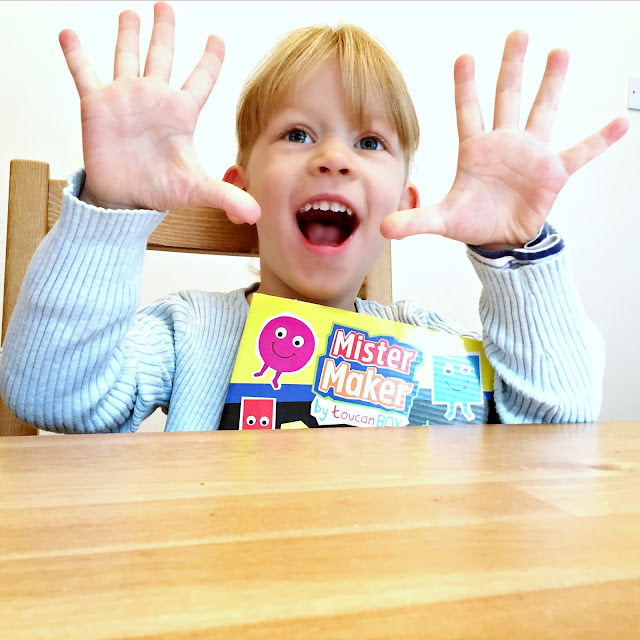 Last week I discovered the Mister Maker Club and their personalised boxes of craft activities for little fans of the CBeebies show. The club is run by Toucan Box who deliver a carefully tailored and themed box of craft through your letterbox with exactly everything you need for some arty activities. 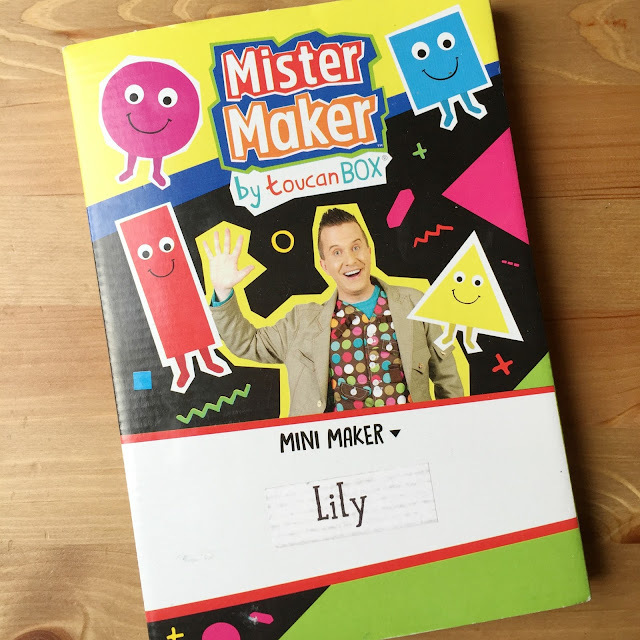 The Mister Maker Club boxes are specifically themed to match the TV programme, with Mister Maker himself, Scrappz and the Shapes all making an appearance. 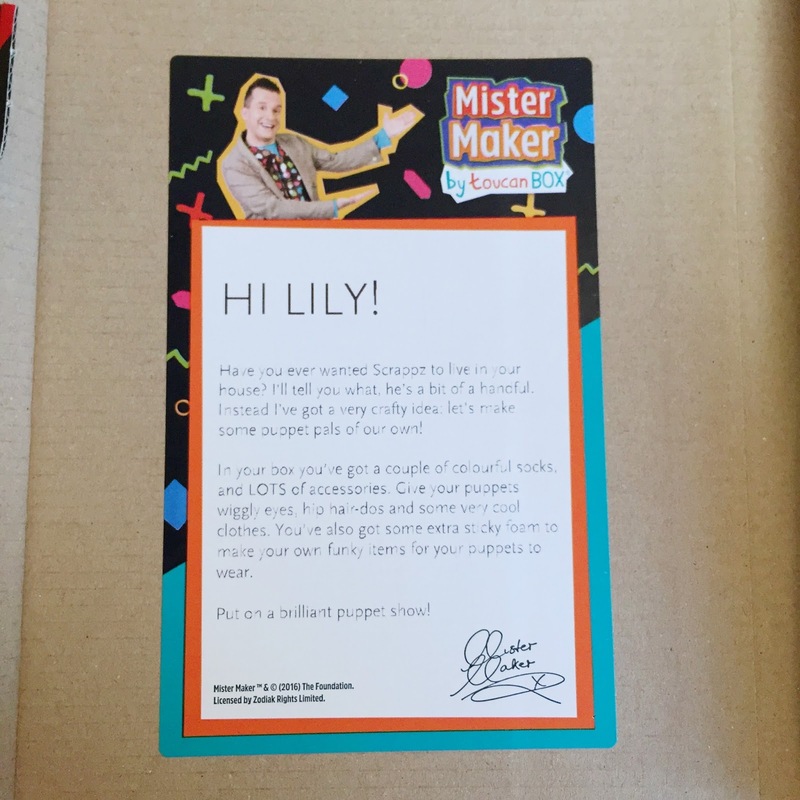 Lily has enjoyed watching Mister Maker for some time now and we have previously made some of the projects we've seen so I took advantage of them offering a free first box and ordered one to try out. The box arrived quickly and was handy for the letterbox. Lily was very excited - first to see the Mister Maker packaging and then to see her own name on the front. A personalised letter inside the box introduces the activity, this box was all about making your very own Scrappz sock puppet. I was impressed because there were enough supplies to make two sock puppets which meant that Ollie could get involved too. 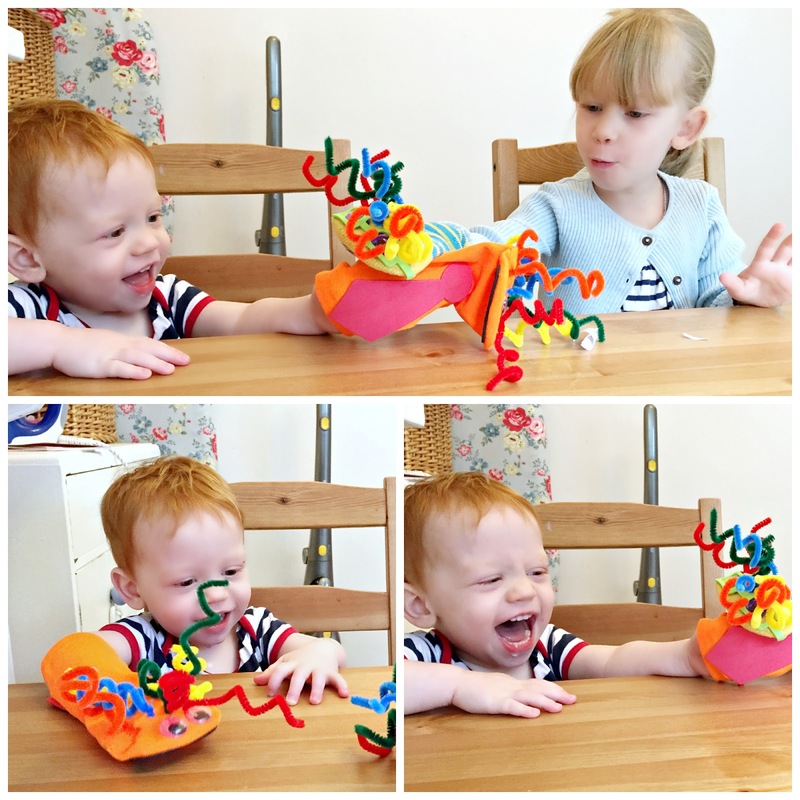 The instructions were clear enough for Lily and I to follow together and there was also an activity book to complete too. 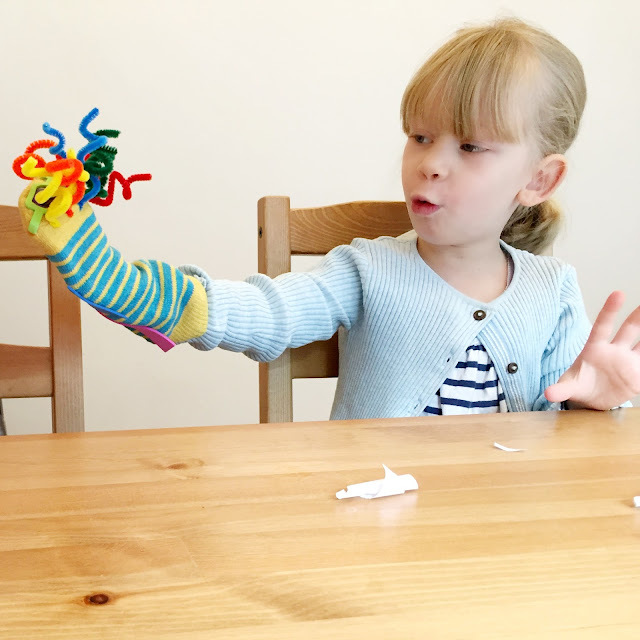 I was surprised by how much Lily could do herself, even threading the needle herself and pushing/pulling it through the sock material. The box is clearly tailored to older toddlers/pre-schoolers but Ollie was still able to get involved with some sticking, and of course playing with the puppets when we'd finished! 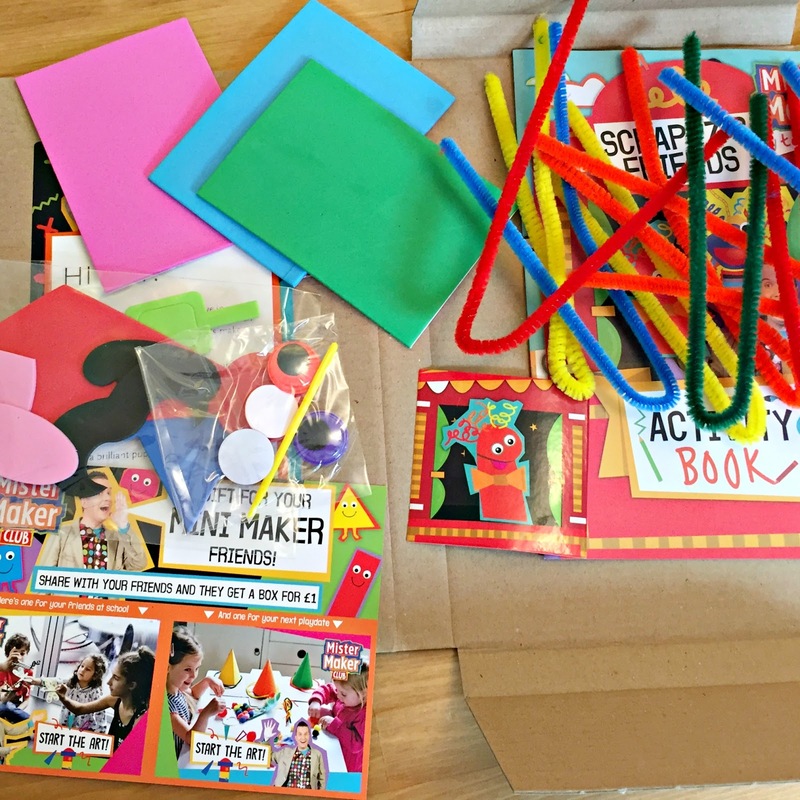 The boxes are £5.95 each plus postage and packaging (98p) and I do think this is a little pricey but I can't deny that the materials and presentation are really good quality and you don't have lots of waste left over. 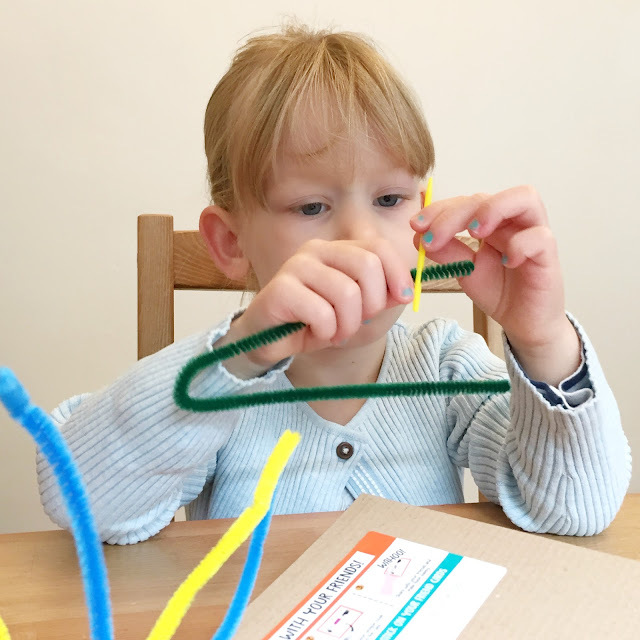 The boxes are delivered every two weeks, giving you plenty of time to complete on before the next arrives. I particularly liked the idea of being sent exactly what we need for a really decent craft, and Lily? She gave it a ten out of ten!